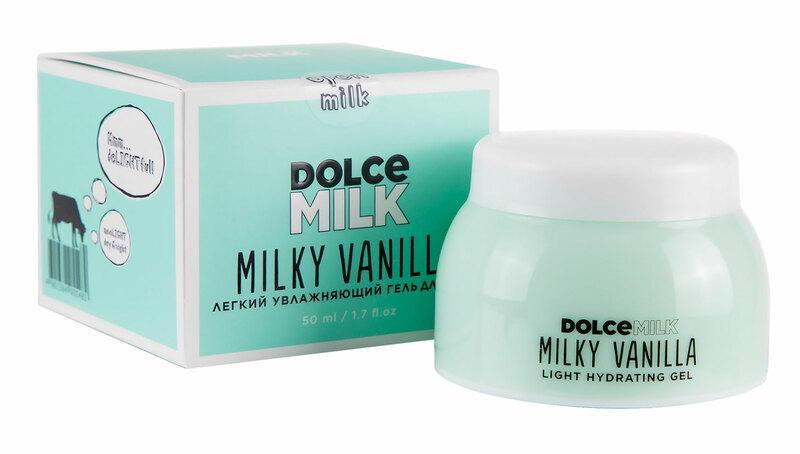 Dolce Milk is one of the leading own-brands from Russian toiletries retailer L’Etual. 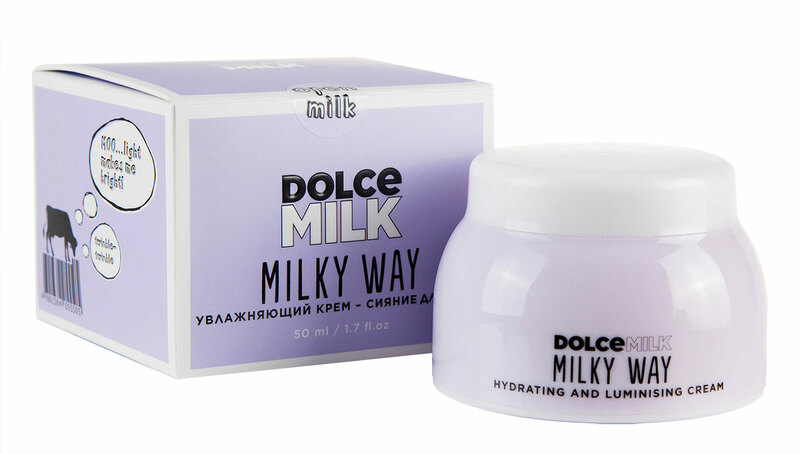 Famous for its unique nourishing formulas based on milk proteins, Dolce Milk carved out a unique positioning, aiming at younger audiences who wanted a sense of light-hearted fun in their bath and body products. However, in what is a highly fashion orientated category, the brand needed refreshing, to fight off the many new competitors that continually emerge. We recognised that both the colour and the creamy formulations were important equities for Dolce Milk, and that the typographic nature of the brand identity was also an important differentiator. 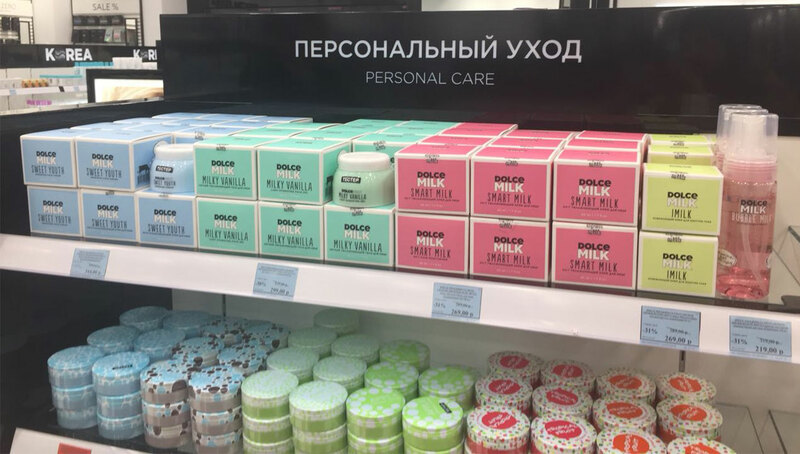 But we were also concerned to give the brand a more contemporary and slightly classier feel, to keep in truly relevant to today’s more sophisticated consumers, and to enable the brand to diversify from bath-and-body care into skin-care. 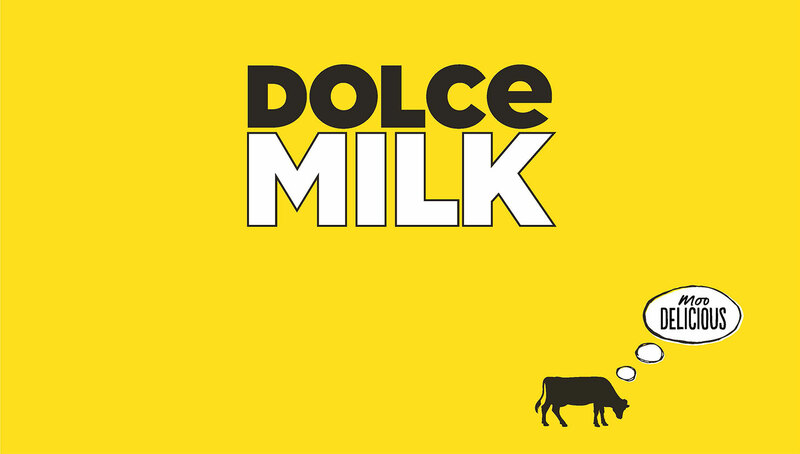 Our new identity for Dolce Milk presents the brand in a new light but is still rooted in the fun, appetite appeal that has kept the brand popular. The new and innovative cocktail of milk protein formulas with ‘mouth-watering’ perfumes are a true delight for your skin and senses. The gentle formulas in the products have a wide range of caring properties: they nourish and soften the skin, improve its elasticity, preserve and maintain beauty and health, whilst still making the user feel happy whilst using them.